1567. Elgin, Ill. May 20. 5-year-old boy injured when struck by a dark-colored, possibly purple, compact vehicle that fled the scene. The boy was playing in the front yard of his home in the 200 block of Orchard around 10 p.m. when a car apparently drove over the curb and struck the child. 1568. Downey, Cal. May 20. 58-year-old man struck and killed by a white SUV which fled the scene. 1569. Queens, NY. May 20. 13-year-old boy injured when struck by a burgundy GMC Envoy which fled the scene. 1570. Tucson, Ariz. May 20. 23-year-old bicyclist hospitalized after being struck by a Black Nissan Altima which fled the scene. 1571. Waipahu, Oahu. May 23. 86-year-old man struck and killed by a dark-colored pickup truck which fled the scene. 1572. Las Vegas. May 23. 50-year-old woman critically injured after being struck by an unidentified vehicle which fled the scene. 1573. Chehalis, Wash. May 22. Woman struck and killed by an unidentified vehicle which fled the scene. 1574. Houston. May 23. Man seriously injured when, while pushing an SUV that had run out of gas, he was struck by vehicle which fled. The person helping the driver push the vehicle managed to jump out of the way. 1575. Milwaukee. May 20. 21-year-old man on scooter struck and killed by unknown vehicle that fled. An Aurora toddler was killed this afternoon when an uncle backed over the child with an SUV on that city’s southeast side, officials said. The uncle fled the scene before authorities arrived, officials said. Responding police officers found the severely-injured 15-month-old boy lying in a driveway in the 400 block of Hinman Street at about 4:45 p.m., Aurora police said in a news release. A judge Friday continued Timothy Bakdash’s bail at $1 million, less than a day after a Hennepin County grand jury indicted him on a charge of first-degree murder. The indictment also accuses Bakdash, 29, of Roseville, Minn., of two counts of attempted first-degree murder in a hit-and-run incident April 15 in which he allegedly ran down three people. BRADENTON, Fla. – A Bradenton woman driving without her glasses is facing charges for driving away from a hit and run early Friday morning. But it was not until she got pulled over by a deputy that she realized she had hit her own father, according to the police report. SPRINGFIELD TWP. — The wait for investigators to name a suspect in the hit-and-run crash that killed James E. Pierce is taking a toll on his mother. But she says she’s willing to wait as long as needed for authorities to arrest the person who “murdered” her son. “It’s hard on me because I’m not getting a lot of information. It just a long waiting game,” said Janet Finfrock of Springfield Twp. VIRGINIA BEACH–A local bicycle club is increasing the reward to help find a hit and run driver. Tripower Cycling Club will now give $2000 for information leading to an arrest. Police are searching for whoever ran into Jim Dunham on Shore Drive May Third. A witness says a black or blue truck hit him as he rode his bike and then sped off. Dunham remains in the hospital recovering from his injuries. The cycling club’s reward is in addition to the money offered by the police crime line which is up to $1000. Bicycle commuter Dylan Reeves knew exactly what hit him. A flatbed pickup plowed into Reeves, 37, around 4:45 p.m. May 4 as he was heading home on his single-speed Cannondale track bike after work at the California Smokejumpers base near Redding Municipal Airport. Passing motorists, including two nurses, stopped to help Reeves, who is left with a back injury that could end his firefighting career. 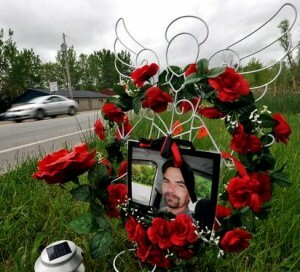 A 28-year-old decorated Iraq War veteran from Hudson and a student at Ohio State University was in a medically induced coma May 19 after an apparent hit-and-run. Chris Ritchey, 28, a 2001 Hudson High School graduate, was placed in a “deep medically-induced coma,” by doctors at Ohio State University Medical Center, according to his mom, Barbara Ritchey of Hudson. STOCKTON, Calif. — A San Joaquin County man who drove 51 miles with his wife clinging to the hood of his minivan has pleaded guilty and agreed to be sentenced to five years in prison. Two people — including a 16-year-old girl — have been arrested on DUI charges following a fatal hit-and-run over the weekend after the parent of the teen called police and reported she may have hit a pedestrian. The teen’s name has not been released because she’s a minor facing criminal charges, but the driver of the other vehicle has been identified as 21-year-old Ignacio Estrada, Bakersfield police Sgt. Mary DeGeare said Monday. The man sought in connection with the hit-and-run of a young boy in Pleasantville, New Jersey has been taken into custody. 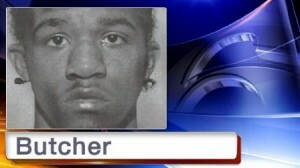 Omar Butcher, 18, was arrested on Monday. Police say Butcher was behind the wheel of a minivan that hit the boy, who was riding a bicycle, on Franklin Boulevard in Pleasantville the night of April 30th. GASTONIA, N.C. — In the last row of Superior courtroom 4C a woman sat with her head bowed, not wanting to look at the defendant sitting in the front of the courtroom. Caught, convicted, court appearance or car-on-car in … Cathedral City, Cal. ; Athens, Ga.; Waverly, NY; Warwick, RI; Luzerne County, Pa.; Cranston, RI; Norfolk, Va.; Carbondale, Ill.; San Francisco; Houston; Lorain, Ohio; Tallahassee, Fla.